Obviously one can ask oneself if it does make any sense at all to try and solve their problems as it seems such a small fish in a big pond. 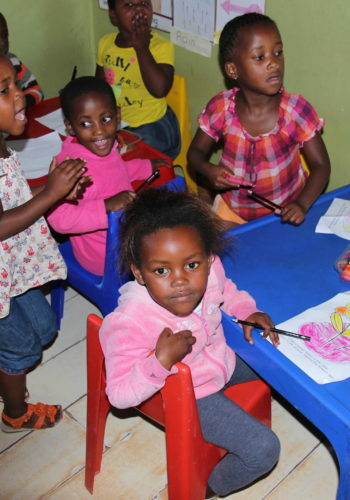 But looking at the hundreds and thousands of homeless parents trying to raise their kids in a future-orientated way, and experiencing the effectiveness of a small organization as the IMIZAMO YETHU Educare Centre means coming to the conclusion that any effort on improving those circumstances is worthwhile. At a stage in near or far future some of the little human beings will have grown into adults sharing tears and laughter and being known as individual humans. By then at the latest we will realize that all we will have put in has been worth the trouble – no matter how small it might seem at the moment.